Part of taking care of your rooftop is also addressing the need for proper roof ventilation, or service for your existing ventilation. Since 1978, local homeowners have entrusted Brian O'Donnell Quality Home Improvements to get the job done. We take this line of work seriously because your roof just happens to be one of the most important aspects of your home. If you have mold in your attic, you need to let us take a look. Brian's decades of industry expertise enables him to quickly assess if you have adequate ventilation. From there, we can provide you with solutions that will enable you to have proper and sufficient air movement with the implementation of ridge vents, eave vents, under gutter vents or any other solutions that may be required for your individual situation. Your roof and the roofing system are the most important aspects of your home. This is because your rooftop safeguards the rest of your home from the elements. However, if something is wrong with your roof you will end up having nothing but problems. The sooner that you can nip this ins the bud, the better. Our crew of roofing services professionals is ready, willing and beyond capable of assessing your unique situation and providing you with the information you need to make a decision. More importantly, we will be there to provide you with the expert craftsmanship you need to actually get the job done. Don't put off getting this important work done, give us a call right now and get started. As the premier choice for local Farmington Valley roof ventilation specialists, we want to be able to provide you with the service that you need. Moisture buildup is a concern, even if it does not always lead to mold. Think about the fact that an average family of 4 can generate approximately 3 gallons of water vapor by simple daily activities like showering or even breathing. Moisture buildup like this can make a home feel and smell damp, as well as lead to mold. Ventilation helps in a number of ways, aside from just addressing mold issues. This reduces summer heat buildup as well as reduces the risk of ice dams in the winter. All of this also works to help extend the life of roofing materials, like shingles. The bottom line is that if you do not currently have a proper ventilation system in place, the time to get one is now. Let Brian and his team of expert roofing contractors assess your situation and address the problem at hand. 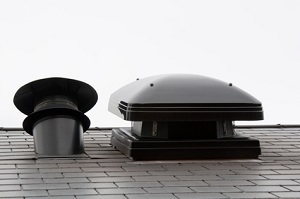 Don't keep putting off getting the proper roof ventilation installation, repairs or replacement that you need. Especially now that you know the experts that you can count on to get the situation rectified. Brian O'Donnell Quality Home Improvements will provide you with the expert level of quality services that you want and need. Let us inspect your home and find out if your lack of ventilation is causing issues like mold. From there we will design the perfect system for your home, to provide you with the air flow you need. From installing copper pipe roof vents to repairing and replacing existing kitchen/bathroom fan vents, our specialists have your ventilation service needs covered. Call today nd let us help you by making changes by adding or repairing your roof ventilation system. If you are interested in roof ventilation services, please call our roofing contractors at 860-658-2474 or complete our online request form.